Click here to watch the complete order picking video. Order picking is one of the most labor-intensive processes in your warehouse. It is also a crucial process, since any errors result in complaints or returns and can damage the customer relationship. Therefore, optimizing the order picking process yields the biggest potential gains. 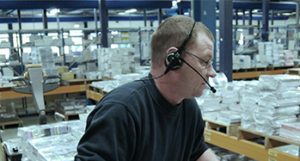 Based on years of practical experience, at Inther we help our clients to select the right order picking techniques for them. The aim is to find the right balance between daily workload, type of products, business goals and budget constraints. 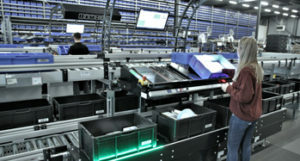 Solutions vary from manual to fully automated order picking: from classic radio-frequency (RF) scanning and Pick to Light/Pick to Cart to Goods to Man systems. 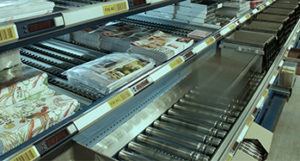 Inther’s order picking solutions have a modular set-up facilitating easy expansion in the future. The various order picking techniques can be deployed independently of each other, but it is more common to combine several different building blocks to create a total solution. Different product groups and/or order patterns in your warehouse (i.e. omni-channel) may require different order picking techniques. The Inther LC software suite forms the backbone of our solutions. 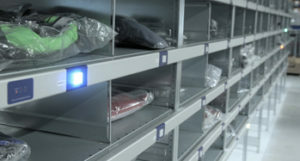 It supports a wide range of order picking, packing, storage and sorting concepts. By truly integrating the various systems and order picking areas in your warehouse we give you real-time insights into your warehouse workflows.